1. 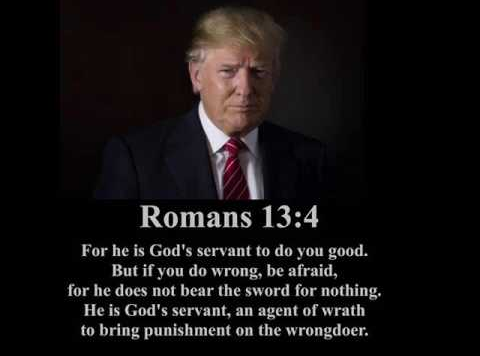 The biblical writers, when writing about the past, were obviously informed about it and often concerned to report it accurately to their readers. A concern with the truth of the past can be assumed. Therefore, where the literary history is plausible, or where it encounters no insuperable objections, it should be accorded the status of historical fact. The argument is occasionally expressed that the readers of these stories would be sufficiently knowledgeable (by tradition?) of their past to discourage wholesale invention. 2. Much of the literature is itself assigned to quite specific settings within that story (e.g. [the time of Tiberius, Pilate, Herod, Gallio, Gamaliel, Agrippa]). If the biblical literature is generally correct in its historical portrait, then these datings may be relied upon. 3. . . . Thus, where a plausible context in the literary history can be found for a biblical writing, that setting may be posited, and as a result there will be mutual confirmation, by the literature of the setting, and by the setting of the literature. . . .
4. Where the writer (‘redactor’) of the biblical literature is recognized as having been removed in time from the events he describes or persons whose words he reports . . . he must be presumed to rely on sources or traditions close to the events. Hence even when the literary source is late, its contents will nearly always have their point of origin in the time of which they speak. The likelihood of a writer inventing something should generally be discounted in favour of a tradition, since traditions allow us a vague connection with ‘history’ . . .
Each of these assertions can be encountered, in one form or another in the secondary literature. But it is the underlying logic which requires attention rather than these (dubious) assertions themselves. That logic is circular. The assumption that the literary construct is an historical one is made to confirm itself. #1 This claim simply asserts, without proof, that the Bible is true. It is just as easy to claim that bible authors made everything up. #2 This again just assumes without proof that the Bible is true. It is just as easy to assume that the authors, like fiction writers of all ages, chose real settings for their stories. #3 Good story tellers always try to add color to their fictions by touching them up with realistic details. No-one says that James Bond stories are true just because they are set in times of real Russian leaders, true places, etc. #4 This is simply asserting, without evidence, that the stories must be true “because” we know they must have been true! One can just as easily assume that the stories were invented. To break this circular reasoning and to find out if the Bible does write factual history we need to confirm the events of the Bible independently of the Bible itself. This means comparing the Bible record with other historical records and the finds of archaeology. A theme I come back to from time to time is the gulf between many biblical scholars and scholars of early Christianity. We saw what happened when Earl Doherty made his first “public appearance” online on the Crosstalk forum, a meeting place for scholarly discussion. A good number of the professional scholar in that forum reacted with outright disdain and insult. They did not “need” to hear or engage with Doherty’s arguments to “know” they were “rubbish”. The mere suggestion that their entire working hypothesis for Christian origins — a Jesus figure emerging and winning some small following at a time of messianic hopes, followed by the confused and evolving responses of some of his followers to his crucifixion as a political rebel — the mere suggestion that the foundations of their studies rested on questionable assumptions and that it should be an outsider who cries out that the emperor might be naked was too much for some. It is utterly UN-reasonable to suggest that Jesus did not exist. Such silliness has no place on an academic list. Perhaps discussions of the non-existence of Jesus belong on the same lists as discussions of UFO abductions, alien autopsies, and the like. . . . The net is filled with crackpots, loons, and various shades of insane folk who spout their views and expect people to take them seriously. And when they dont get taken seriously they get mad. . . . . Bill and his “voice behind the curtain” have simply repeated old junk which has been dealt with in the history of scholarship already. Why must we reinvent the wheel every time someone comes up with “a new idea or a new spin on an old idea”. (oh yes, I have visited the web page advertised— very pretty- yet filled with nonsensical non sequiters). Life is too short to rehash garbage. And that settled it. Such “nonsense” had been more than adequately dealt with long ago — if pressed he may have mentioned the names of Maurice Goguel and Shirley Jackson Case — but if indeed the arguments had been dealt with Jim does not explain his hostile tone. Why not, like a sophisticated scholar, a tutor, or even a reference librarian, simply direct people such as Doherty and those who read his books to the sources that they have presumably missed? Who is it who is “getting mad” because they don’t think they are being taken seriously? There is a contradiction there. It’s kettle logic. On the one hand we are informed that the Doherty’s and their arguments have been seriously addressed; but then on the other we are told that the Doherty’s get made because their arguments are not taken any more seriously than claims of UFO abductions and alien autopsies. No, no-one expects a scholar to reinvent the wheel “every time someone comes up with “a new idea or a new spin on an old idea”.” So why the hostility? Why not simply refer Bill to the works that clearly establish the foundations of the scholarly enterprise and leave no room for a resurgence of what had long been dealt with professionally. Jim covers himself to the extent that he says he did “visit” Doherty’s arguments and could most assuredly say that they were filled with “nonsensical” non sequiturs. No specifics, but no references to the earlier works that had settled all the questions, either. I can go to any sizeable general bookshop and find books written by scientists and science reporters addressing the flaws in young-earth creationist literature. It is not hard to find. Some scientists clearly find time to address the fallacies and falsehoods of creationists to the extent that any serious enquirer can be assured they have all the essential data and all the basic arguments before them. I do not expect to find in such books sweeping assertions that creationist literature is filled with falsehoods and non sequiturs. I expect to find, and do find, examples of the flaws and clear discussions about them. While sorting through some papers that have been stored away in a shed for many years I came across a reminder of something I heard long ago and really liked at the time, and still do. 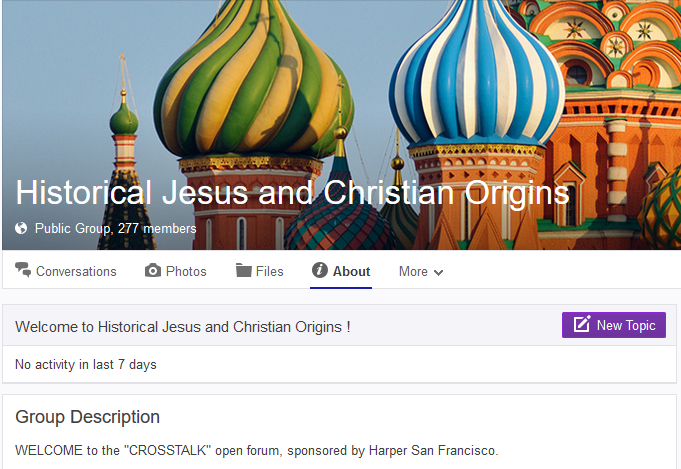 It was a forum post to the Crosstalk2 list, a forum scholars discussing the historical Jesus and Christian origins (my bolded emphasis). I have become aware that there is a divide in the audience of XTalkers between people interested in learning new things about the relation of early Christian texts to the world of antiquity and people whose primary interest and love is debate. Both kinds of interests are, of course, unending for those who have them. Most of you will know that my interests focus on learning new things. I have no illusion that my interests will satisfy the goals of debaters. I presume that the goal of debaters is to debate. My primary goal is not to debate but to learn new things. Or to put it another way. I am interested in debate only when it is a medium for learning new things. For me, debate is not so much a manner of “persuasion” as it is a matter of “finding” things we, have not seen before. Debate is truly interesting when all parties are “looking at the data together.” In all of this, I am deeply informed by Thomas Kuhn’s The Structure of Scientific Revolutions, which explains how people following one “paradigm” of inquiry often wiil “totally” discount the primary evidence of people following another paradigm of inquiry. Happy New Year to all Vridarians! May we continue to debate in the spirit of Vernon K. Robbins. I have decided to present this early conversation to allow readers to see the evidence and judge for themselves various claims that are made about the character of those early exchanges. for generations and show no sign of getting any closer to solution. name and observations at Jesus Seminar meetings on a couple of occasions. at the end of this. modicum of professionalism and common human decency. and up-to-date investigation and debate. comparison I made to the fundamentalist J P Holding who attacked my views. respect can surely be expected and maintained. reasoning capacity and innate primal instinct. > scholars, long before Wells or myself. Having been pretty busy lately, I have missed this thread and others’responses. > reasoning capacity and innate primal instinct. all the layers of the onion, leaving nothing. It is utterly UN-reasonable to suggest that Jesus did not exist. they dont get taken seriously they get mad. someone comes up with “a new idea or a new spin on an old idea”. with nonsensical non sequiters). Life is too short to rehash garbage. Earl Doherty, author the The Jesus Puzzle website, The Jesus Puzzle and Jesus Neither God Nor Man and other books, and contributor to The Journal of Higher Criticism, made his “public appearance” on a biblical scholars forum on Tuesday, the 9th of February, 1999: Crosstalk. In the light of some unfortunate mischaracterizations of the tone of Earl’s engagement with scholars and the wider public I have decided to post the lead up to Earl’s entrance into that web forum and the initial responses of scholars to his presence. This post only looks at the first half of that intention and concludes with the entrance of Earl to Crosstalk. The next post in this series will set out the posts demonstrating the way the different parties responded to his arrival. A man or a myth? ministry, miracles, holy places, Mary & Joseph, the trial, the passion, etc. And that’s who started it. We learn later that his surname is Paulson. crucified in Jerusalem on the orders of a roman governor around 30 A.D.
to end, can be found there if God opens your eyes to the mysteries. >ministry, miracles, holy places, Mary & Joseph, the trial, the passion, etc. which states that the Jews killed the Lord Jesus, an earthly event. Re: A man or a myth? polite, if unconvincing.First, I apologize if I’m posting messages in an odd or inconvenient manner. I came across the 1971 debate between Michel Foucault and Noam Chomsky on human nature a couple of days ago; I last viewed it quite some years ago but found myself still fascinated enough to listen to it carefully through to the end once more. (There’s also a transcript online, I afterwards discovered.) And what memories — all that student long-hair! What surprised me was that Foucault had lost none of his ability to leave me in some dismay with his insistence that a concept like justice is a social construct and instrument of class oppression. I’ve been trying to get some little idea into the nature and origins of human ethics from the perspective of evolution and have come to see what we call ethical systems as phenomena found also in other social animals. No doubt Foucault would have said that what we observe in the animal kingdom generally is nothing more than displays of power struggles. My own limited reading has suggested to me that a fundamental factor underlying ethical systems is the biological principle of reciprocity. Some readers no doubt have read more and can enlighten me further. Is not all ethics fundamentally about the well-being of living organisms so they can survive, flourish and reproduce? I will live at peace with you and not infringe upon your space as long as you respect my piece of territory that I need for my survival. From there we move to those experiments showing us monkeys throwing tantrums if they are not given the same rewards as their peers without any apparent justification for the inequity. Monkeys don’t talk about fairness or justice but they seem instinctively to understand the “fact” of what we describe with those labels. Despite my attempts, Le Donne continues to read Mark 15:35//Matt 27:46 as a divine abandonment and says, “Jesus also accused God of abandonment” (166). I am not afraid of a Jesus who makes me uncomfortable, but I think there’s a better way to read that narrative that makes more sense of the full narrative. The emphasis is mine. I thought, What a strange thing for a historian of to say! The thought betrays, I think, an unhealthy personal emotional investment in a certain view of Jesus. When an author appears to be coming out and boasting that they are prepared to break with a conventional theological view of their subject it suggests, to me at least, that the field is typically mired in agendas that are far removed from genuine and purely historical interests. incapable of causing believers to err or stray from the revealed will of God. The Bible reveals the truth about the Divine and the Human. Believers who adhere to that revelation are kept safe from errant behavior or belief and the Scriptures do not err in teaching said proper behavior or belief. I’m reminded of belief in the curse of the pharaohs and the healing powers of a murderer’s corpse. Jim does insist that the secret to drawing on this saving power from the Bible is that it be “correctly understood”. Hence only a person with both training and God’s spiritual presence can properly divine the true mantic meaning of the sacred magical words. How strange. Would anyone today turn to the recordings of the Sibyl Oracle for messages of guidance? Or to Hammurabi’s Code for how to treat a purveyors of faulty goods? Or to Plato or the wisdom of Imhotep? Or to the heavenly influences on human affairs according to Porphyry? I am all for studying ancient documents. I have always loved studying ancient history. But the point has always been to understand how the ancients thought and lived, not how I can learn from them as guiding lights for my own life. Consider Stanley Porter’s condition: qualitative superiority. “According to Porter, Paul only expects Christians to obey authorities who are qualitatively superior, that is, authorities who know and practice justice.” (449) The Greek for “governing authorities” (exousiais hyperechousais) seems to suggest this, given that hyperecho carries with it a “qualitative sense of superiority in quality.” (449) Therefore, the only governing powers to which Christians should submit are those that reflect the qualitatively divine justice they’ve been entrusted to bear, enact, and steward. Woah there! Where to begin? A raft of scholars have found reason to doubt that the passage in question was even original to the writing addressed to Romans: Pallis (1920); Loisy (1922: 104, 128; 1935: 30-31; 1936: 287); Windisch (1931); cf. Barnikol (1931b); Eggenberger (1945); Barnes (1947: 302, possibly); Kallas (1964-65); Munro (1983: 56f., 65-67); Sahlin (1953); Bultmann (1947). And who was this Paul, anyway? What independent evidence do we have to establish anything for certain? And how does one get from “a qualitative sense of superiority in quality” to modern readers’ concepts of “God” and “divine justice” (whatever “divine” justice is)? What was the original context and provenance of the document — we can only surmise — and what in the name of Mary’s little lamb does it have to do with anything in today’s world? It would be naïve to suggest this passage is the last word on church/state relations, given that our conception of “state” is conditioned by post-Enlightenment views and the original context for Paul’s instructions came during a time of relatively benevolent and well-behaved authorities. Amen. But why oh why does it deserve to be introduced into today’s discussion at all? Why not bring in Plato as well? Deep. Just what everyone instinctively knows and follows. We all acknowledge the need for some form or organization and cooperation. We are social mammals, after all. And we all live this way for the sake of peace and getting along. But of course those of us who have crises of conscience will very often find themselves resisting or evading those causing them such grief. It’s the stuff of thousands of movies and novels and pages of history books. “Christian discipleship” is no exception to the common experience of humanity and living in organized societies. Just dressing up the same conflict in the verbiage of one’s particular ideology makes no difference. My god, Sophocles’ Antigone has remained a timeless classic because of the way it epitomizes the theme of the individual standing up for right against the state. This human universal owes precious little to a few words written from a vaguely understood context and provenance in a civilization far removed from ours. And religion careers and publishing businesses are built on the determination to wrestle with problematic Roman era discourses in the belief that they offer something exceptional for initiates into the arcane mysteries. Fear and desperation from a theologian? Christianity may teach us to be honest but as long as dishonesty serves the interests of faith I’m sure God forgives. A certain Butler University Professor (his blog makes it clear he writes in his capacity as a Butler academic) who is well known for his strident dogmatism on the question of the historicity of Jesus has been at it again. He writes in response to a “meme” that he realizes is false or flat wrong in every way except one: it scorns mythicism! the attempt to argue that because someone is only mentioned in the New Testament, therefore they are not historical, simply does not work. Of course he cites no instance of anyone arguing this way. No publication putting in a word for the mythicist case that I know of has ever suggested that “because someone is only mentioned in the New Testament, therefore they are not historical”. Mythicist dogmatists and Christian fundamentalists are not at polar opposite ends of the spectrum, except on the trite matter of what they insist they know. Their approach is an all-or-nothing one that are mirror images of one another, two sides of the same coin. There certainly are “mythicist dogmatists” who are as, well, dogmatic, as any Christian fundamentalist. Historians, on the other hand, are supposed to deal in a nuanced manner with evidence, and to recognize that each piece of evidence must be assessed separately and on its own terms. But then he slips off the rails. Two true statements bracketed by two false ones. A nice chiastic structure. And so the heart of the matter is this: mythicism – the complete dismissal of the historicity not just of accounts but of the individual portrayed in them – is as illogical and indefensible as claims of Biblical inerrancy – the complete acceptance of the historicity of everything in the Bible because the existence of individuals mentioned in it has been confirmed. Notice where he slipped? At first he made the obvious statement that a “mythicist dogmatist” is as bad as a “Christian fundamentalist”, but here he speaks of “mythicism” generically. Mythicism itself is as bad as Christian fundamentalism. I would have thought “mythicism” would stand in this context as a counter to “Christianity”: just as Christianity has its fundamentalists so does mythicism have its dogmatists. Both stand outside the realm of serious discussion. Neither mythicism nor Christian fundamentalism is engaged in the practice of history. And when historians and scholars object to this misuse of their work, mythicists and inerrantists typically respond in the same way: by insisting that the academy is in fact conspiring to cover up the truth or infested with an ideology that blinds us to the truth. Interesting that he speaks of “historians and scholars”. Is he trying to impress readers once again that theologians like himself really are true historians and scholars? Certainly a good number of theologians do call themselves historians and in one sense they are, but even in their own ranks we find criticisms that their approach to history is quite different from the way other historians work. (Raphael Lataster demonstrated that most emphatically in his book. 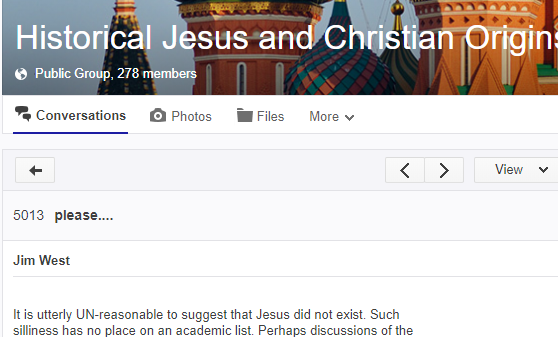 Recall a paper of his discussing historical Jesus methodology that was rejected by a scholarly Biblical publisher was accepted by a Historical conference.) And of course our Butler Professor cannot be ignorant of the fact that it is theologians themselves, his own peers, who regularly complain about the ideology that blinds them as a whole to seriously radical ideas. Do I need to quote again here the many instances of nuance and tentativeness and scholarly humility in the way scholarly mythicists (scholarly referring to any mythicist who argues in a scholarly manner — leaving aside the dogmatists) very often present their arguments and set them beside a list the many abusive and dogmatic denunciations of theologian “historians and scholars” like the Butler Professor himself when arguing for the historicity of Jesus? Continues from part 1 . . . .
“Scholarship is what scholars do, and if they don’t do it, it’s not scholarship.” That is by far the most important point against the mythicists, and really, nothing more needs to be said. Jenkins remains silent about Carrier’s book, the book that largely prompted Brian Bethune to ask serious questions about the evidence for the existence of Jesus. One can only conclude Jenkins has not read it and that his confidence that he knows all he needs to know about mythicist arguments is perversely misplaced. After all, it’s not a view “done” by scholars so it would be a waste of time bothering with it. One cannot imagine a more classic illustration of contempt for (ideologically incorrect) public interests. Such ignorance gives him the confidence that merely repeating a few mantras to a few informal mythicist bylines he may have heard second hand or from some “over zealous riff-raff on the web” is all that he needs to do to persuade right-thinking people to stay clear of the danger zones around those far swamps. The affirmative evidence for that existence is easily offered, consisting as it does of a sizable body of writings dating from within a half century of the events described. “A paper I had written on a disturbing, ridiculous, and idiosyncratic method used by historicists was rejected by a prominent society of Biblical literature, but was later accepted by a general historical research organisation – forgive me if I feel a smug sense of vindication. This paper dealt with what I call Ehrman’s law, which shall be explained later and discussed throughout this book. My presentation of the paper was very successful, with almost everybody (a room full of proper historians) agreeing with me that this method used by Biblical ‘historians’ is ridiculous and not typical of historians proper. Lataster, Raphael (2015-11-12). Jesus Did Not Exist: A Debate Among Atheists (Kindle Locations 400-405). . Kindle Edition. Mainstream biblical scholars often point to atheists among their ranks as evidence that they are not swayed by Christian bias. Craig Evans in the debate mentioned in my previous post did this when he spoke of the atheist James Crossley arguing that the Gospels were written considerably earlier than even many Christian scholars concede. What Evans was doing in reality was demonstrating that atheist scholars can only survive in the Christian dominated field of biblical studies as long as they conform to the minimal ideological foundations of Christianity. Arguing a Marxist model of Christian origins naturally conforms admirably with the values of many liberal Christians. In fact neither Bethune nor anyone denies the “near total consensus” in the public face of the biblical studies guild. 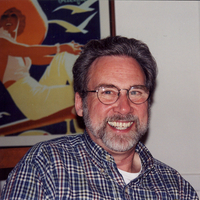 When prominent authors like Philip Jenkins not only demonstrate their ignorance of the arguments of those “infinitesimally” few scholars but even despite their ignorance insult them as belonging to the “far swamps of crankery”, one has to wonder if Raphael Lataster is quite correct when he writes that the historicity of Jesus is a debate that cannot be conducted among biblical scholars but can only move forward in other history and religion departments. Hence reaction, neither engagement nor education, is the response. Jenkins sees no need to bother with anything Carrier might have written nor even with the actual problems raised by Bethune. Leave all that to the “swamps of extreme crankery” — a nice intimidating phrase attached to the pointy headed doubters among those leprous masses. And so Jenkins proceeds to address what he blindly presumes anonymous ignoramuses argue. The challenging questions of Bethune and Carrier are lost in the far swamps of Jenkins’s awareness and are replaced by some vague general points from the minds of an undefined “they”. All the canonical sources depict a very plausible Jesus in a very identifiable early first century historical setting. More significant, there are clear and well understood chains of evidence and tradition from Jesus’s time to the writing of those gospels. Plausibility is a condition of historicity but that is a long step from being an argument for any particular scenario. Historical fiction works because it is equally plausible, set as it is in real times and places. That this point is ever raised as a serious argument for the historicity of Jesus is truly an embarrassment to our intellectual elites. Craig Evans made much of it in his debate with Richard Carrier. Why? It’s so obviously a red-herring, a non sequitur, an offence to anyone who has read any historical fiction, including ancient historical fictional writings. As for the second point that there are “clear and well understood chains of evidence and tradition from Jesus’s time to the writing of the gospels”? Well, yes, there certainly are “clear and well understood” imaginative constructs of what scholars who presume a core historicity behind the gospel narratives believe must have existed. Of course there is no evidence for those oral traditions. Indeed, works that have seriously challenged the prevailing presumption that “there must have been oral traditions” passed on from eyewitnesses to eventually reach the authors of the gospels have been largely ignored. (See discussions of some of these in the oral tradition archive, as well as other posts on scholarship presenting evidence for literary mimesis.) 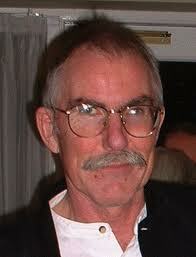 Yet Jenkins presents the presumed model of oral tradition as part of a “clear and well understood chain of evidence“! Biblical scholars are reacting uncomfortably to signs of public interest in the view that Jesus did not exist. Not all biblical scholars, though. A tiny few do publicly welcome and accommodate this mythicist view of Jesus with their Christian faith and others who have confessed to being open-minded on the question. (For details see Who’s Who: Mythicists and Mythicists Agnostics.) But it is no secret that biblical studies is dominated by the Christian faith, both its liberal and conservative wings, so when articles questioning the most fundamental precept of that faith appear in prominent media outlets like The Washington Post, Salon.com, and most recently Macleans, some of those scholars let their indignation and impatience show. Unfortunately for their cause, however, while they focus on defending their traditional assumptions they all too often completely ignore (or misrepresent) the actual reasons many intelligent and educated people continue to have doubts. Yes. It is the best we can argue. The evidence and critical methods we have can only allow us to argue that our New Testament literature can well be explained without recourse to a historical Jesus but that fact does not itself prove their was no historical Jesus. Even some “historicists” admit that the historical Jesus is essentially irrelevant to what became Christianity. Personally I see no reason to believe in the existence of a historical Jesus but I cannot prove that position, so I must remain agnostic. The best I can do is to demonstrate how the evidence we have for Christian origins can be explained far more cogently without reference to a historical figure. In posts on Vridar I’ve said several times that by explaining the origin of a gospel narrative as an adaptation of another story (say, Jesus stilling the storm from the Jonah story) we do not disprove the historicity of the event. Ditto if we find mythical associations with Jesus: even known historical emperors described themselves and were described by others in ways comparing them with mythical persons. What matters is what the evidence we have points us towards. If we have evidence for a literary or mythological borrowing, and that is all there is, then — all other things being equal — it is reasonable to tentatively assume that that the literary or mythological source is the origin of our narrative. But our conclusion is tentative – pending the discovery of additional evidence that there is also a historical source. Pontius Pilate, the Roman governor found him guilty of sedition and had him crucified. But that wasn’t what all early Christians thought. The apocryphal Gospel of Peter says King Herod signed the death warrant. Others who thought Jesus was nearly 50 when he died believed that happened in the 40s of the first century, long after Pilate had been recalled to Rome. Yet Pilate is in Mark as the agent of Jesus’s crucifixion, from which he spread to the other Gospels, and also in the annals of the Roman historian Tacitus and writings by his Jewish counterpart, Josephus. Those objective, non-Christian references make Pilate as sure a thing as ancient historical evidence has to offer, unless—as has been persuasively argued by numerous scholars, including historian Richard Carrier in his recent On the Historicity of Jesus: Why We Might Have Reason For Doubt—both brief passages are interpolations, later forgeries made by zealous Christians. . . . I believe Professor James McGrath is quite sincere in his inability to grasp why it is that Jerry Coyne (as one example of a mainstream public intellectual failing to be convinced by the claims of biblical scholars that Jesus existed) cannot see that mythicism is any different from creationism. McGrath has demonstrated repeatedly an apparent cognitive inability to actually comprehend and directly address mythicist arguments, invariably focusing instead on trivial objections, on red herrings, on straw men, on blatant misrepresentation. McGrath makes no secret of his visceral loathing of mythicism and of those who argue for it, and especially of those who attempt to hold him to account for his own arguments both against mythicism and for the historicity of Jesus. He is not alone. Colleagues of his have publicly appreciated his efforts to rid the world of a challenge to their fundamental assumptions about the evidence we have for Jesus. I’m always surprised at how much rancor is directed toward “creationists”—those who deny that evolution, whether on the macro or micro level, is the best explanation for the diversity of life on our planet. I’m also surprised at how certain many biologists are that evolution occurred (Jerry Coyne, to give a prominent example). Yet although I am the first to admit that I have no formal training in science, I think I’ve read enough to know that there is no credible evidence for the reality of evolution, and that arguments can be made that evolution is a purely mythological notion, derived from earlier ideologies, which gradually attained “facthood.” As a historian, I’ll say that I don’t regard the evidence that evolution occurred as particularly strong—certainly not strong enough to draw nearly all scientists to that view. It’s almost as if rejecting evolution brands you as an overly strident religious person, one lacking “respect” for science. There’s an onus against creationism that can’t be explained by the strength of evidence against that view. What McGrath demonstrates with these words is a failure of his to grasp the fundamental arguments of the mythicists. Unlike creationists, mythicists do not appeal to divine revelation or dogma to explain the evidence before them. Continuing the pots and kettles theme . . .
Samantha Field has written an excellent post about the fundamentalist way of thinking. Far from being irrational, Field suggests, the fundamentalist might be called hyper-rational. There is a desire for absolute consistency and clarity, which is precisely why fundamentalist atheists who embrace mythicism, as well as fundamentalist Christians who embrace Biblical inerrancy, cannot tolerate the kind of uncertainty that historical inquiry, for instance, must treat as par for the course. All it [Bayesian reasoning in historical inquiry] does is indicate what theory is most rationally believed, at that time. Just like sound historical reasoning. There is a reason for that. Sound historical reasoning is Bayesian. Indeed, sound reasoning in general seems to be Bayesian. Bayesian reasoning simply symbolises and formalises what already takes place in the heads of logical people. In fact, we can take comfort by the fact that this probabilistic approach allows us to make judgements even when evidence is scarce, as it is with the issue of Jesus’ historicity. Bayesian reasoning informs us as to what is more reasonably believed, based on the currently available evidence. As we gather more evidence, our conclusions may change. Even those that disagree with a scientific-mathematical representation of history can at least agree that history then becomes ambiguous and shall not give us certainty[ 545] – so that the inappropriateness of historicists claiming certainty is illuminated, and agnosticism over Jesus’ history is already justified. . . . While we may never know the truth with absolute certainty,[ 548] Bayes’ Theorem allows the scholar to objectively compare how revealed evidence and background knowledge fits various theories, and thus should prove to be very helpful in historical Jesus studies; more so than the popular Criteria. Lataster, Raphael (2015-11-12). Jesus Did Not Exist: A Debate Among Atheists (Kindle Locations 3068-3086). . Kindle Edition. Would that the Chair could demonstrate the same tolerance for ambiguity and uncertainty. . . . .